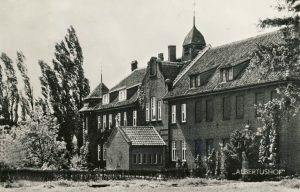 1950 Riehen, Dominikushaus Convent Founded.The Original St Dominic’s Church and presbytery were demolished in the 1970s to be replaced by the new Home for the Aged. The Sisters moved out in 2012.2004 Sara Community Founded. 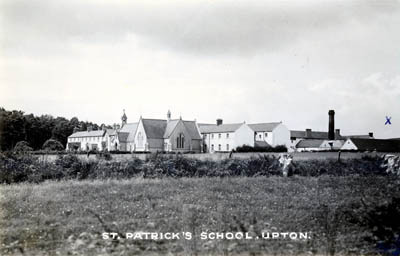 In the beginning… In 1947, Upton, Co. Cork, at the request of a Rosminian Father to help in the running of an orphanage. 1952, The Sisters purchased a 17th Century building in Bandon, Co. Cork (St Philomena’s Nursing Home, later renamed St Michael’s) which was run as a maternity Hospital. 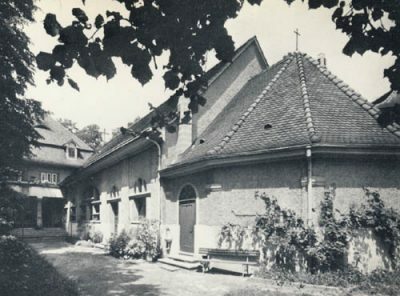 Permission was initially refused by Bishop Lucy to reserve the Blessed Sacrament. With help from the Rosminian Fathers, the Presentation Sisters, Bandon and many generous local people, the house was renovated by 1957 and the Blessed Sacrament was reserved at St Michael’s in 1965. 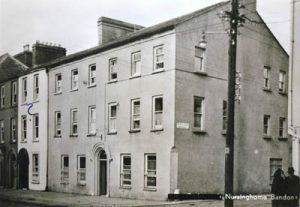 The Hospital served the local community for many years (1952 – 1967) and finally closed due to the opening of a new Maternity Hospital in Cork. The Sisters moved to Tralee and purchased ‘Oakvilla House’ from the Latchford Family to set up what would eventually become ‘Our Lady of Fatima Home’ to care for the elderly, beginning with 12 residents. 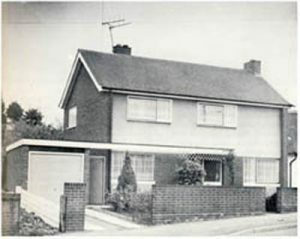 On 8th April 1968 the first Mass was celebrated at Our Lady of Fatima Home and the Blessed Sacrament was reserved. 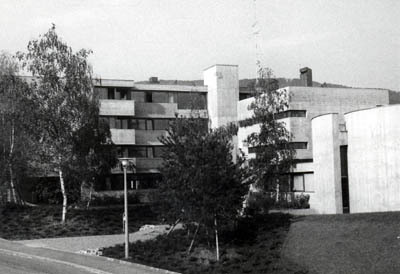 In 1969 the project was begun to set up a nursing home for the elderly and on the 23rd November 1970 the new single-storey Home and Chapel where blessed by Bishop Eamon Casey. 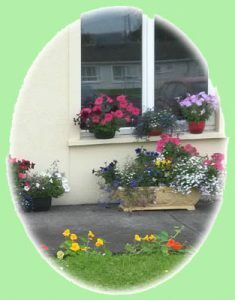 The primary aim of the Homes is to promote and protect the quality of life, dignity and rights of the older person and to provide a high standard of professional care.Fatima Home has undergone substantial changes in the past 39 years, not only with the building refurbishments and the new wings, but also having to adhere to regulations laid down by the Irish Health Board. 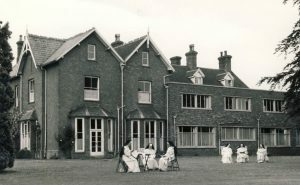 We have a modern 66-bed, en-suite facility with stunning gardens, which is run by fully qualified nursing staff and personnel. 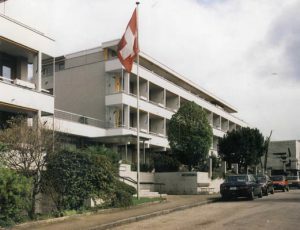 We also have ten self-assisted bungalows. Our residents enjoy not only full-time nursing care but also attend various activities throughout the day, i.e. art classes, excercises and day-trips around Kerry. 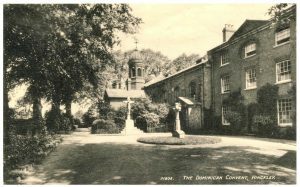 Daily Mass is celebrated in our Chapel, attended by residents and local people.During the years 1877 – 1994 a total of seventy Irish women entered the Dominican Congregation of King William’s Town, twenty-four of whom subsequently left. Five now remain, three of whom are in Tralee and two in South Africa. Our ministries have developed from our initial call to education and health care to the present ministries of pastoral care, retreat work, administration and facilitation work with groups, development work and care for the elderly.